A holiday home in South Norway is the perfect getaway for young families looking to relax. Visit the town where the famous playwright, Henrik Ibsen, spent his teenage years, or just laze on the beach. Gaze up at beautiful old lighthouses and explore gorgeous archipelagos on foot, bike, or boat. Spend some time on a car-free island, where traditional old houses make visitors feel like they've travelled back in time. Whatever your plans, South Norway offers a world of fun activities for the whole family. South Norway includes lovely coastal and inland areas that stretch all the way to the Setesdalsheiene mountains. With its beautiful valleys and natural haunts, South Norway is also popular for its towns such as Arendal and Grimstad, which each boast plenty of attractions. When booking a holiday home in South Norway with TUI Villas, guests are guaranteed peace of mind with excellent customer service and a large selection of abodes. Without having to worry about their accommodations, guests can focus on exploring and enjoying their holiday. Very idyllic Grimstad is a highlight for guests at holiday apartments in South Norway. It was here that the famous playwright, Henrik Ibsen, wrote his first play while working as an apprentice pharmacist. Visit the two houses where the playwright lived, one of which is now the Ibsen Museum, and wander past the many other charming old houses and narrow streets that make up Grimstad. Outside the town, visitors can take a boat out and explore the many islands and islets. In summer, Grimstad also hosts many events, such as the Norwegian Short Film Festival and the Ibsen and Hamsun Days. Another great activity you can look forward to while staying at South Norway holiday apartments is visiting the car-free island of Lyngør. The perfect opportunity to get away from it all, this island is as idyllic as it is historic. One of northern Europe's best-preserved communities, Lyngør boasts traditional houses that have been around since the golden age of sailing in the 1800s. Spend some time exploring the charming historic architecture and strolling along the narrow streets. Every year, the island hosts a play that commemorates the Battle of Lyngør, when the British sunk a Danish-Norwegian frigate. Another must-see destination near holiday apartments in South Norway is Tvedestrand. A charming old town where traditional houses line the slopes in perfect unison, Tvedestrand is famous for its bookshops. In fact, bookworms will find themselves in a haven, with a bookshop on almost every corner. Used, new, and antique books are available in Tvedestrand, especially on Hovedgata, the main street. Visitors with kids will also be happy to know that Norway's largest outdoor water park is right in the centre of Tvedestrand – kids love to climb the 6m-tall iceberg. 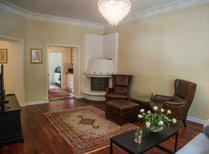 When staying in South Norway's cosy holiday apartments, guests should leave time for some side trips. Sorlandet, also referred to as the Norwegian Riviera, has a coastline full of outports, secluded beaches, and gorgeous views of the archipelago, best explored by boat. Another great side trip while staying in a South Norway holiday home is Tysnesoy. On the island, part of the municipality of Tysnes, visitors can indulge in pure nature complete with mountains and forests that look out over the sea. Last but not least, Bomlo is also a great destination. Here, guests can feel the force of the wild, open sea with plenty of opportunities to go fishing. There are several ways to reach holiday homes in South Norway. The easiest way may be flying to Oslo from London and then taking a train or bus to reach the coastline. The bus from Oslo to Arendal takes around 4 hours and runs several times per day. The train journey also takes 3-4 hours, and there are several stops in South Norway where guests can disembark. Another option is to fly to Kristiansand. However, as this airport can get crowded in summer because of all the travellers, it's a good idea to book flights to Kristiansand in advance at this time. 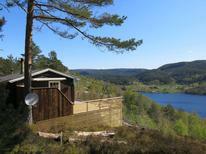 When booking a quality holiday home in South Norway, guests should plan what they want to do. In the colder months, South Norway's natural landscapes and sea views remain stunning, and you can still easily explore the area's towns, museums, restaurants and shops. However, in the warmer months, especially between June and August, guests can partake in many more activities, such as swimming, biking, and boat tours to secluded beaches. This time is also the busiest, with local and holidaymakers coming to South Norway to enjoy the warm weather. South Norway now has yet another attraction: the world's largest underwater restaurant. Under's dining room, around 5m below sea level, looks directly into the aquatic underworld. The unique structure comprises a 33m-long concrete oblique slab half submerged in the water with a panoramic window offering diners spectacular views on the restaurant's three floors. Located in Spangereid in Lindesnes, the new restaurant has been long awaited – keep in mind it may be difficult to snag reservations! Under is also planning on working with marine biologists to add an educational element to the dining experience.